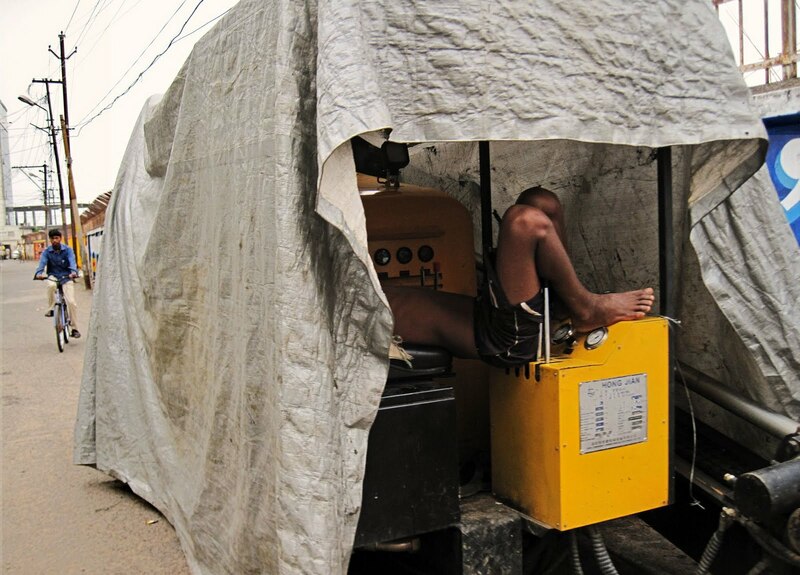 This is an image of a wiry young man, probably the driver of a tractor, sleeping in an odd position on the tractor or a similar vehicle. It is hard to imagine anyone taking a nap this way as only the upper half and lower half of his body are resting on a hard surface. Half his torso is hanging in mid-air and he doesn't seem to be the worse for it. He was fast asleep when this photograph was clicked. Another photograph of a sleeping man - a labourer taking a break from work. 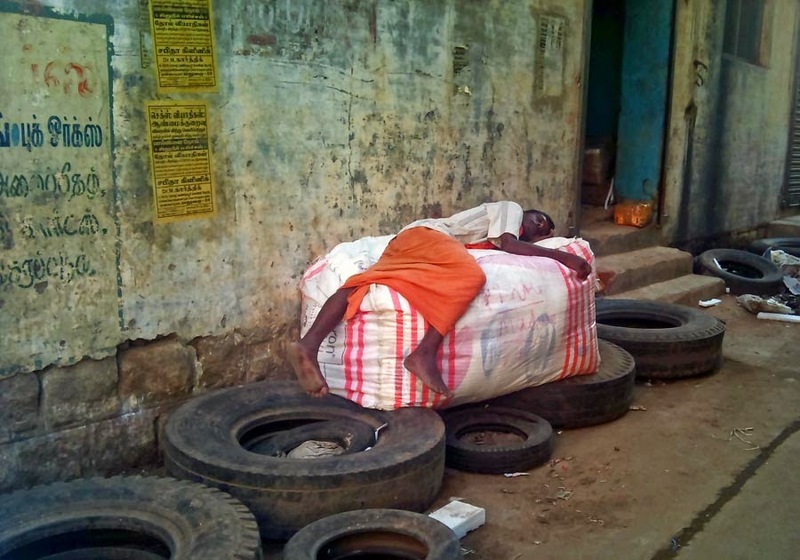 He is sleeping on some type of packed material lying on top of some old tyres. It is so typical India. People working long hours, and not getting enough sleep at home! Or perhaps he is simply taking his siesta!